Spring is such a fun time to celebrate! 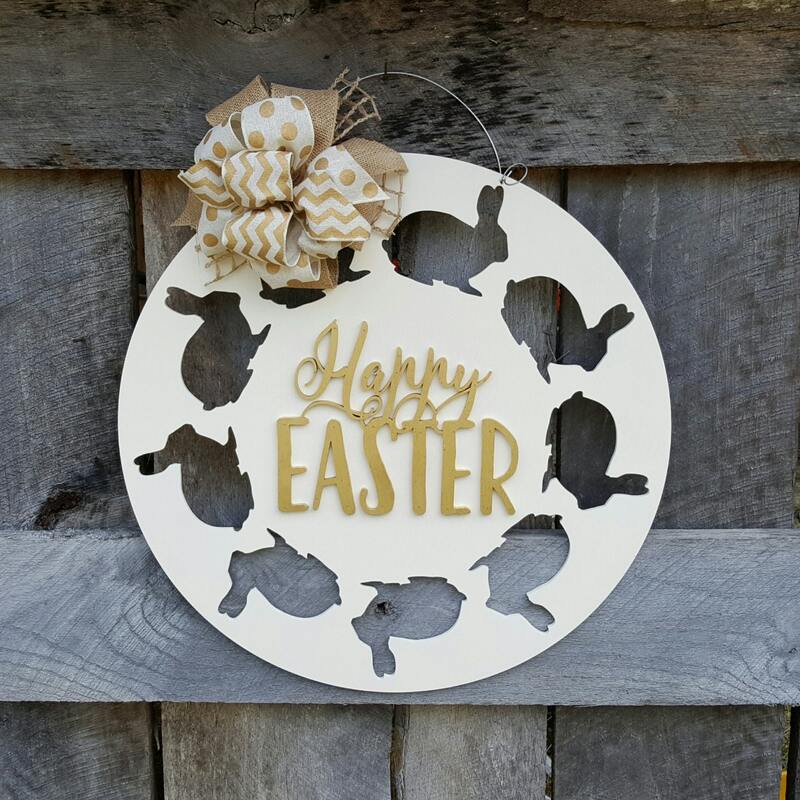 Add this beautiful "Happy Easter" door hanger to your entryway or use was a wall hanging indoors to add a festive touch to your family's space. 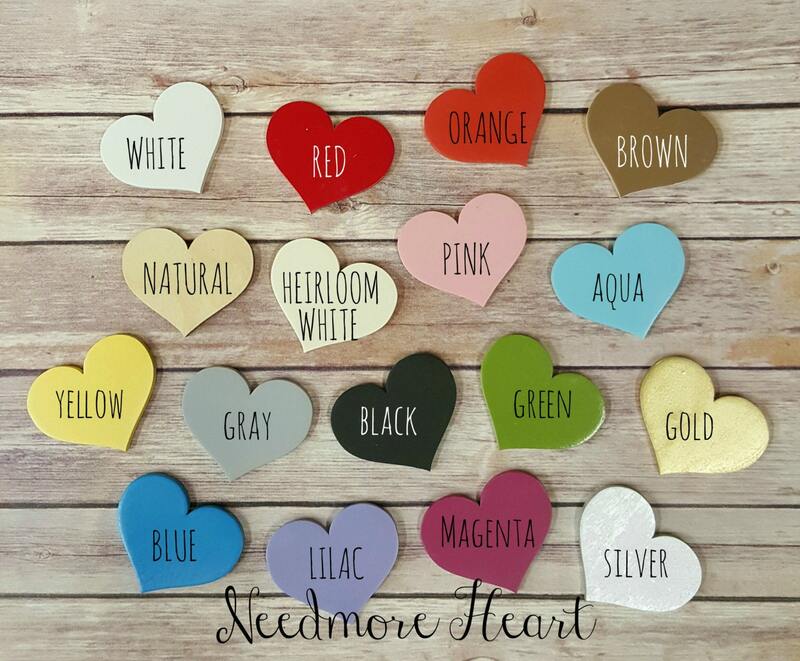 This fun design includes a wooden round measuring 22" in diameter and 1/4" thick. This piece includes a sweet, cut-out bunny border. 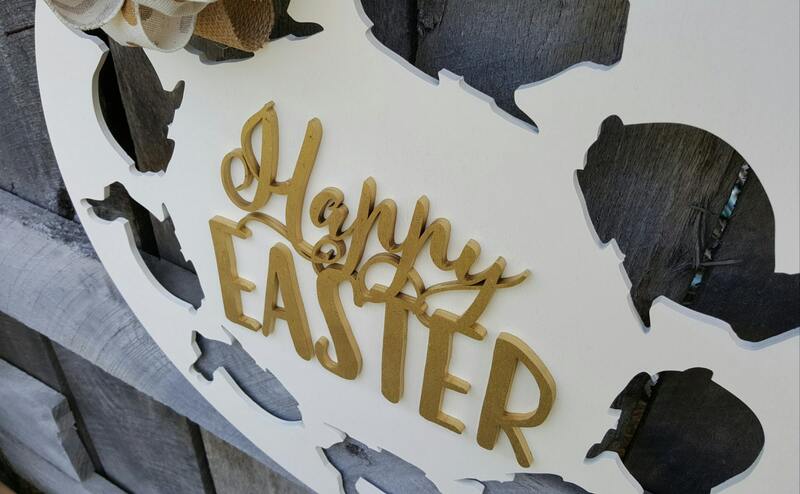 The words "Happy Easter" are cut in a beautiful font combo and added as a second layer to the piece. We finish this cutie off with an attached wire hanger and a coordinating bow.